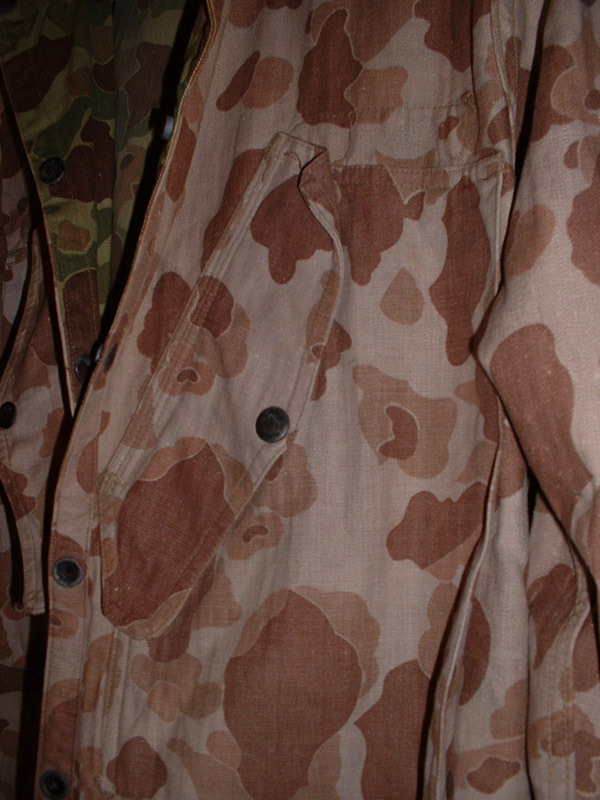 This coat came from the estate of a deceased former Marine Parachutist living in the Eugene Oregon region. His widow said that he served as a "...parachutist in the Marines, and was heartbroken when he got put in the 5th Marines." 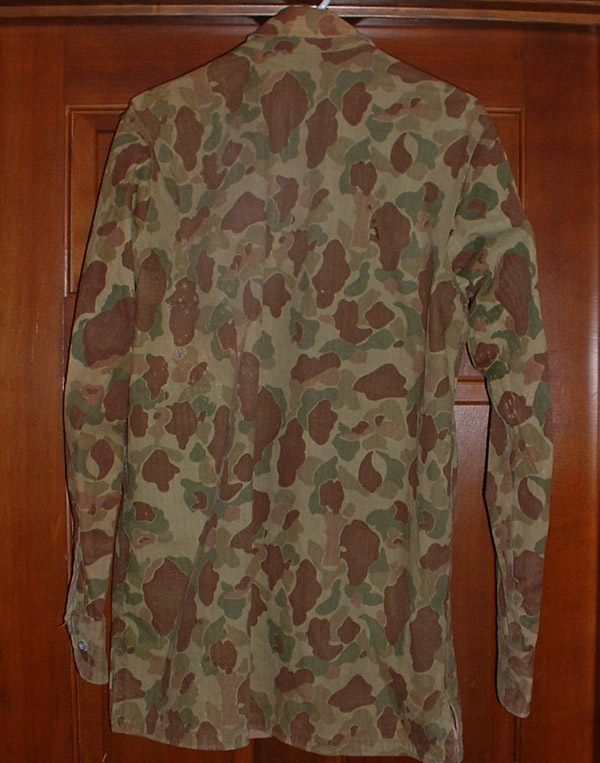 The coat is in overall good to very good condition, but has some spots of wear, including a small (.20"=5mm) hole in the lower left portion of the back of the coat, where the standard USMC braces would rub against the back of a wearer, and where a rifle sling would cause similar wear (those who have worn the older style of suspenders or carried an M1 with the older leather sling and hooks will have encountered these wear areas before). 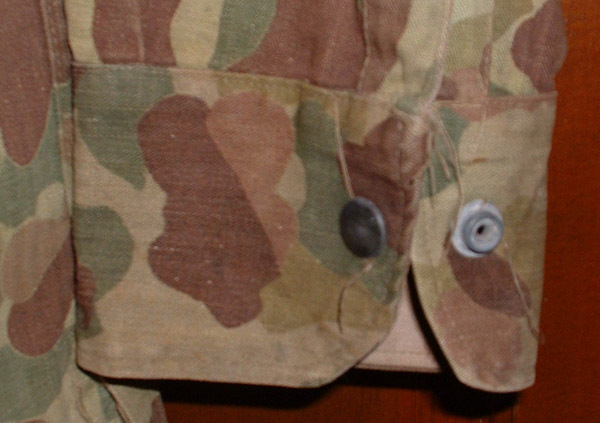 From the pictures at the house, and various left-handed "novelty/joke" gifts at the estate, it appears that the deceased Marine was left-handed, which would go a long ways to explaining the wear in that area. 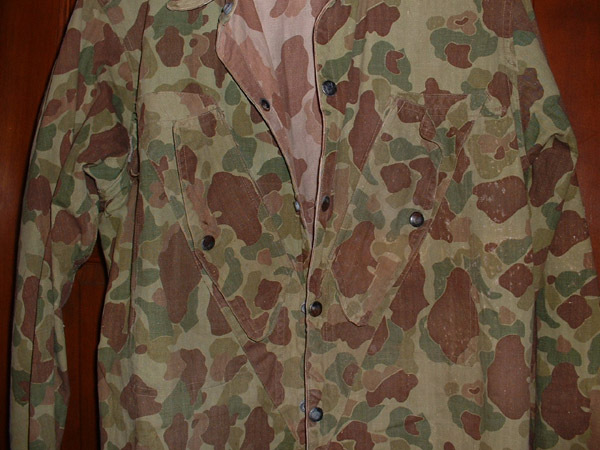 Camo Jacket coming up for Auction!!! The jacket has all snaps, they are all intact, and have verdigris. 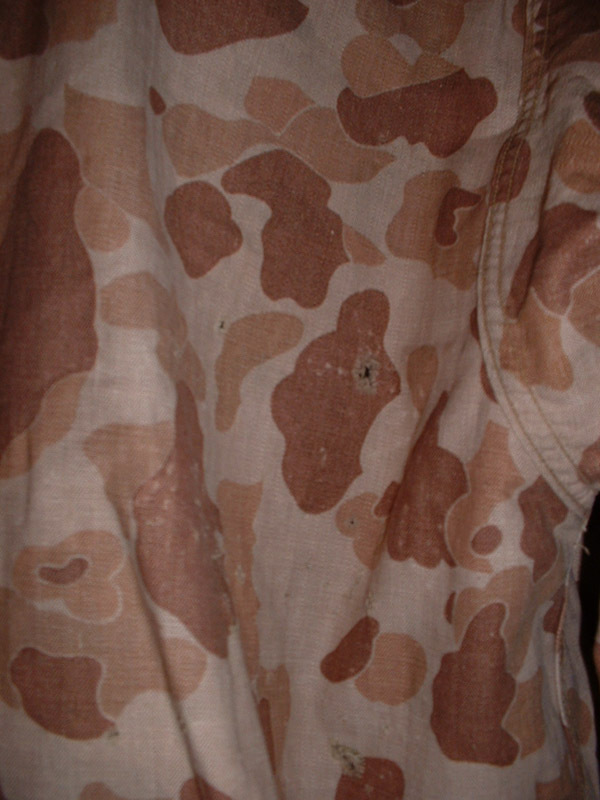 All seams are solid, and the colors are vastly better than the camera gives them credit. 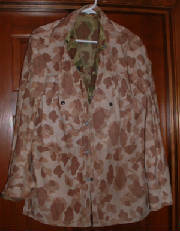 The jacket is in a small size (today that would be a small-short size coat). The jacket will be sold at auction (eBay) in the upcoming weeks, and if you are interested in being notified when the listing for auction begins, please email us at knackersquaddies@hotmail.com with "PARAMARINE" in the subject line. 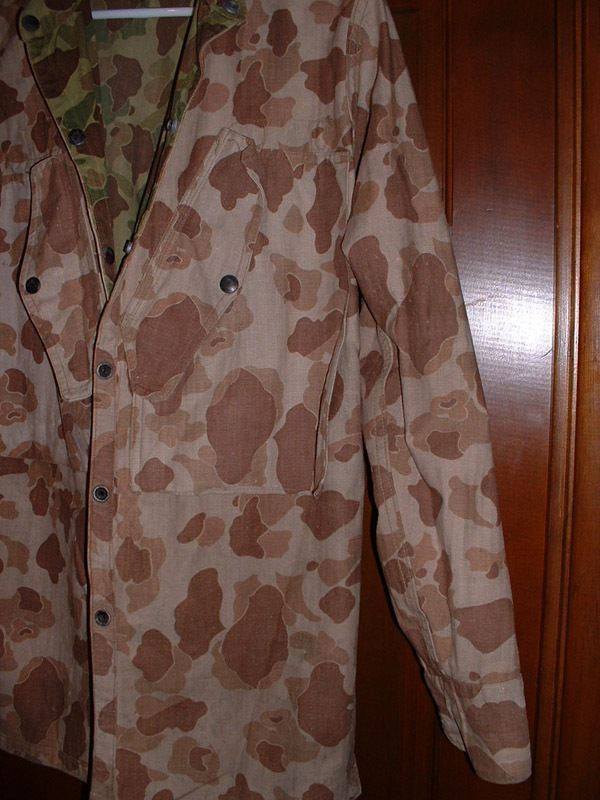 Here are a few pictures of the jacket. Clicking on the pictures will open a larger picture in a new window. 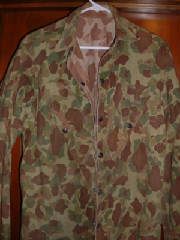 The auction venue for this jacket will be eBay, and we are looking at anywhere in the next 10 days for an auction start. Email any questions or requests for specfic pictures now. No pre-auction offers will be considered out of fairness for all involved.